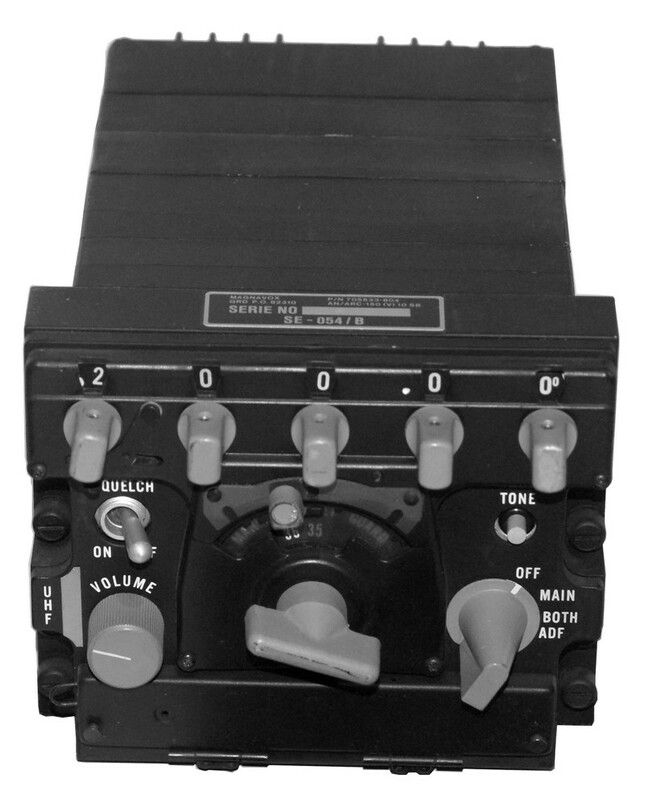 The sold state aircraft radio Magnavox RT-1136 / SE-054 was used in light airplanes and helicopters Alouette III, after the military air communication has been relocated to the UHF frequency band. up to twenty crystal controlled channels crystal, power supply from 27,5 Volts on-board system via a rotary transformer, rod antenna. The solid state Magnavox RT-1136 UHF aircraft transceiver was installed in light planes and helicopters Alouette III of the Swiss Air Force.